This is actually a product that I have been itching to share with you all since I bought it! It’s my first ‘drug store’ product review since I started my blog! 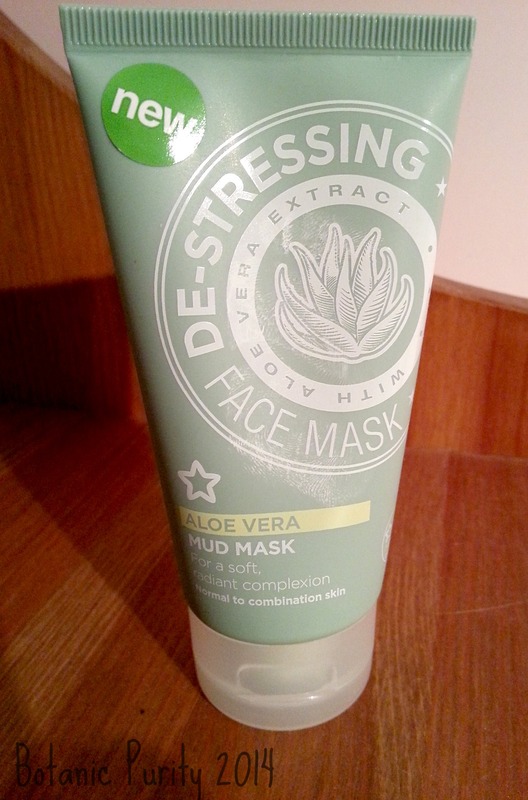 I’m really excited to talk about this De-stressing Mud Mask that I found in Superdrug a couple of weeks ago. It’s a long story, but one afternoon left me and my friend a little stressed so we decided to actually take a lunch break and nip into town for a breather. It wasn’t long before we were drug store haulin’ to drown our sorrows, but to be honest, I’m so glad we did! This face mask has been a bit of a revelation for me. I have been so hooked on high-end skincare that I have ignored what is readily available to me in the shops! I guess it brought me back into the real world a little bit. So first things first, I have been looking for a face mask that helps me with the following concerns: congested and open pores, spots/acne, unbalanced skin and uneven skin tone. I picked up this ‘De-stressing’ Mud Mask because I thought it would help to calm my skin down a bit, reduce the redness in my complexion and around my blemishes, and to stop all the hyperactivity going on to slow down my oil production. I thought it would give me a really deep cleanse without being too harsh or ‘stressful’ for my skin – bingo! It seemed like a perfect fit, and at only £2.59 (or £1.75 if you and your friend buy one each on offer) I thought it was worth a shot. I have no regrets about this purchase. For a mud, the mask has a rich and creamy texture, but with excellent spreadability which makes for even coverage. The directions say to gently massage into your face and neck, and to leave for 15 minutes, and I do feel as though this is enough. As the mud dries it become a little tight and uncomfortable, so you don’t feel quite as tempted to leave it on for hours! It has got to be said, the mask works an absolute treat! I actually couldn’t believe my eyes; when I had the mask on I could see it working deep in my pores and could really feel it exfoliating and cleansing my skin. It was a great feeling, if a little alarming as it highlighted how open all of my pores actually are! It leaves me with a wonderfully even skin tone, radically reduced pore visibility and a distinct glow to my complexion – it’s fantastic! The Aloe Vera really helps calm the skin and replenish moisture levels, and the Dead Sea Mud cleanses and purifies pores, leaving you soft as a feather. It actually does what it says on the tin… miracle! I’m currently trialling another mask that is over 10 times the price, but it really doesn’t compare to this little beauty. I really can’t believe how much I’ve fallen in love with this mask, and I urge you to go and try something from this new range! All you have to lose is £2.59 and 15 minutes, but trust me, you won’t be disappointed! Must confess I’d rather forgotten about Superdrug, so you’ve inspired me to get down there and see what they’re offering! This product sounds fab and such a bargain, interested to check out the ingredients list. Yeah I was so impressed! I never really venture in there because Boots points are way too tempting 😛 was there not one on the Superdrug site? I don’t think there’d be anything too awful in there.. I hope not anyway!! !